DURING SUMMER VACATION my boyfriend and I stayed in Budapest, Hungary, for a week. 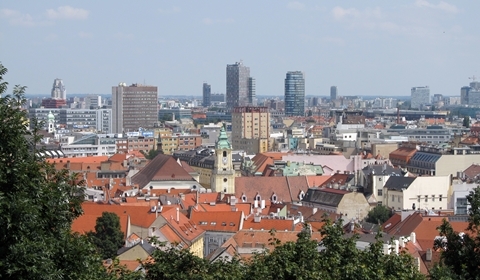 While looking for cities to visit nearby we realized Bratislava, the capital of Slovakia, was only a two-hour drive away. 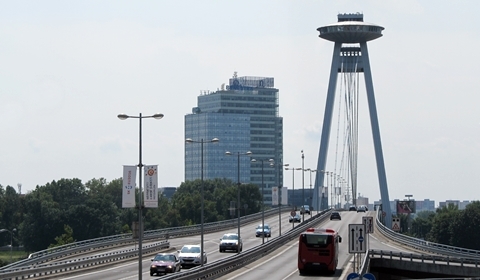 We took the M1 motorway early in the morning and, without any rush, reached Bratislava by 9:30 a.m. I had Googled tips for visiting the city and found out that, right as one drives off the motorway toward the Aupark Shopping Center, free parking is available in a medium-sized parking lot next to the mall. In case there aren’t any open spots, you can also park in the mall’s parking lot for free, for a maximum of three hours—after which the parking fee is too high, in my opinion. 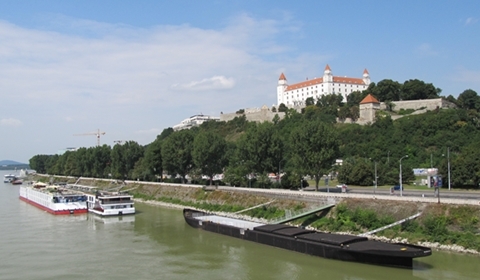 Set on the banks of the Danube, the city of Bratislava is beautiful. We started our visit by walking the Most Slovenského národného povstania (English: Bridge of the Slovak National Uprising), commonly referred to as Most SNP. 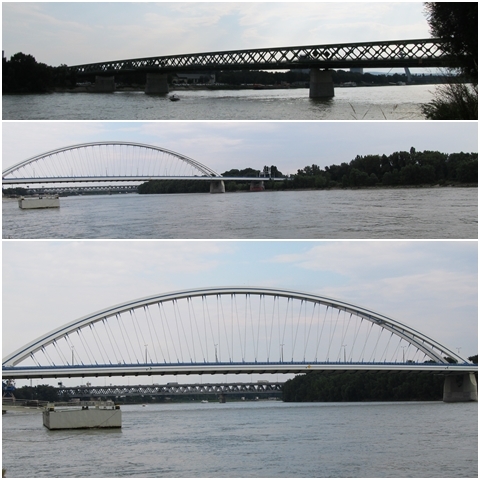 We took the bridge across the Danube and right to old town. 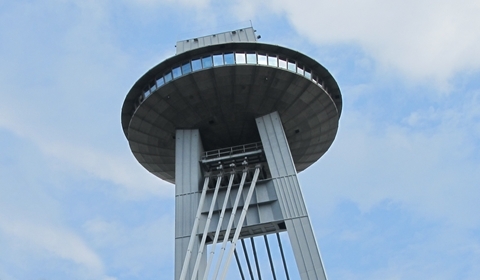 Later, I found out that the flying saucer-shaped structure on top of the bridge’s support pylon, appropriately named “UFO,” houses a restaurant. 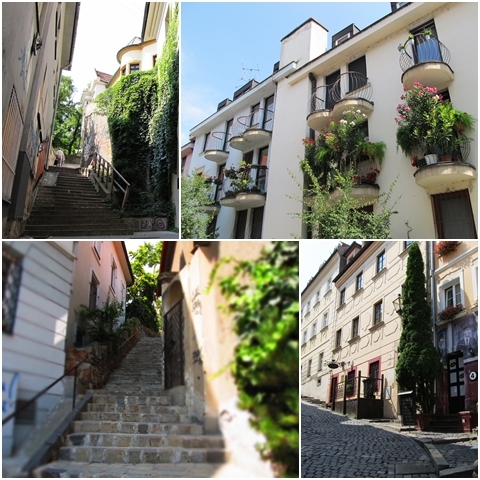 Even though, unfortunately, a significant section of Old Town below Bratislava Castle (which included nearly all of the Jewish quarter) was demolished to create the roadway that leads to the bridge, there were still so many things to take in. I took pictures nearly every step of the way! 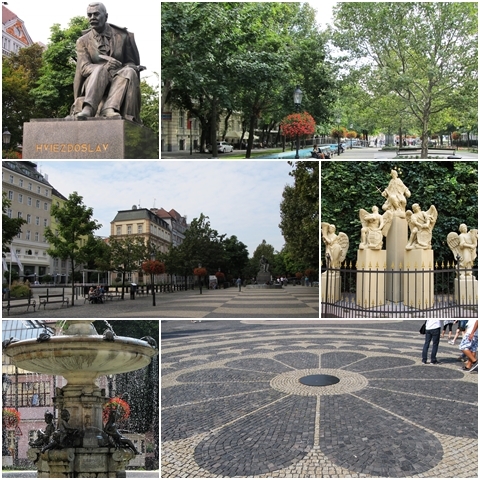 The pedestrian-only, 18th-century Staré Mesto (English: Old Town) is filled with lively bars, restaurants, cafes, many churches, museums, statues, and lots of souvenir stands and shops. 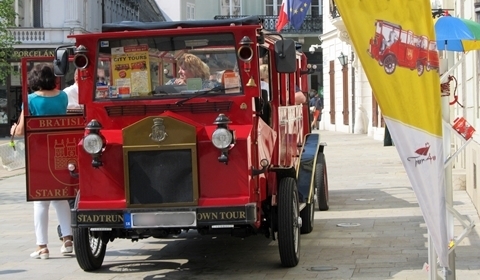 Tourists can choose to go on city tours, some of which are provided in cute little sightseeing buses. 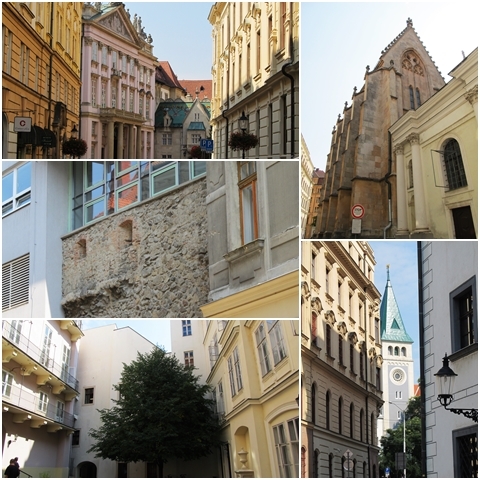 We walked around the small streets, taking note of how close together different architectural styles have been built—some of the buildings seem to almost stand on top of each other. 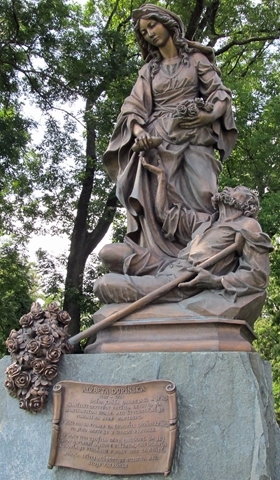 Human-sized statues add a modern touch to the city’s historical center. Most intriguing to me was Čumil (English: The Watcher), who attracts tourists passing at the junction of Laurinská and Panská Streets. 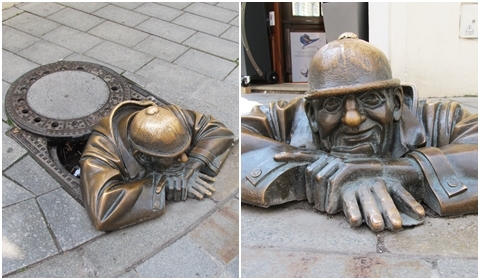 He is possibly the most photographed statue of Bratislava since his placement there in 1997. 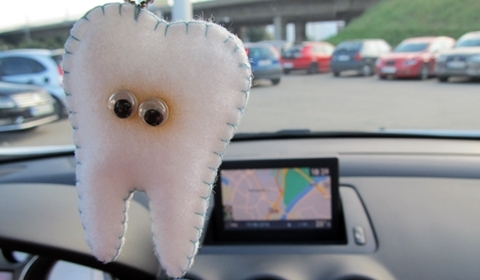 We bought some souvenirs and tried to learn (then, unfortunately, promptly forgot) how to say “Hello”, “Goodbye” and “Thank you” in Slovak, before heading back to the mall to see if a spot opened up in the free parking lot. 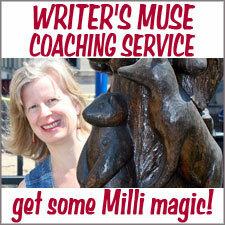 Luckily, it had, so we moved the car and then walked across the bridge again, going left this time toward the castle. 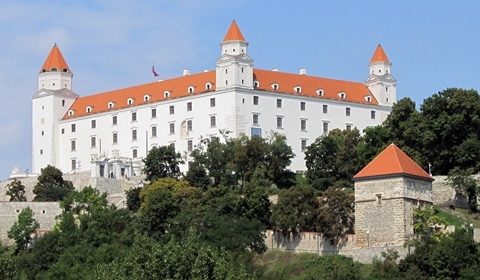 Bratislavský hrad (English: Bratislava Castle) is beautifully restored. The first stone castle built there was during the 10th century, when the area was part of the Kingdom of Hungary. After it burned down in 1811 and gradually deteriorated, its last reconstruction started in 2008. 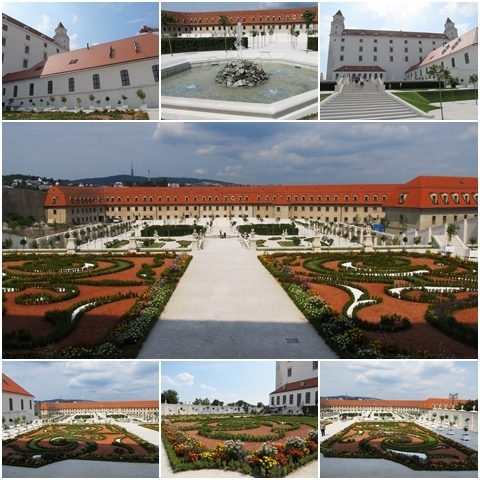 In 2010 the Honorary Courtyard of Bratislava Castle was also completed. 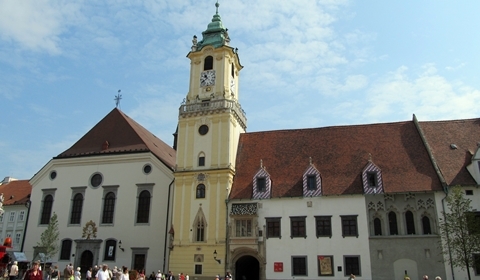 The castle now houses the Slovak National Museum and presentation rooms for the National Council of the Slovak Republic and for the president. A visit inside the museum would’ve been too long for us to squeeze into that day-trip, but we walked around its grounds, garden and park. 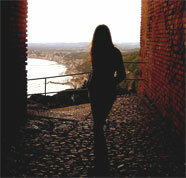 The most beautiful view of the city can be admired from the castle’s plateau, no matter which way one looks. This is where the mash-up of 18th-19th century palaces, mansions and churches, grandiose 20th century communist flats and buildings, and 21st century modern malls and office buildings is most noticeable. When we started feeling tired, we headed towards Old Town via a different route. We made our way back to Hviezdoslavovo námestie (English: Hviezdoslav Square), to an Asian restaurant we’d seen during our earlier walk to grab a very late lunch. If you visit Bratislava, I highly recommend checking out Restaurant Mr. Dou. 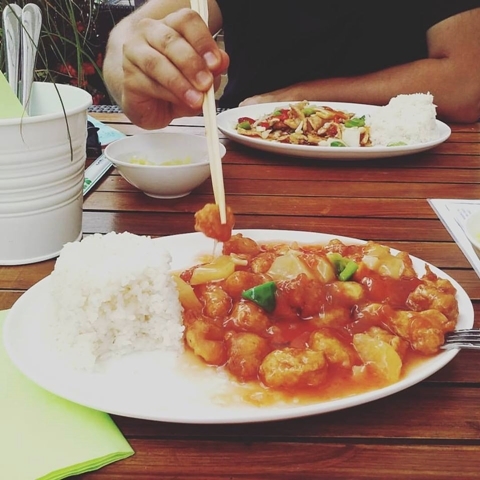 I can safely say it was the best Asian food I’ve had so far. One thing to prepare yourself for: While people are very friendly, not many of them will speak English outside of touristy areas. Slovakia is not yet overrun by tourists, so this is somehow to be expected. In small shops, feel free to give German, Hungarian or Russian a try if you speak any of these languages. 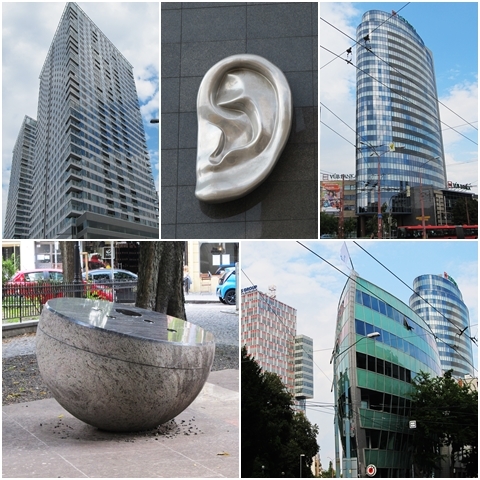 After lunch, we saw some of the city’s new, modern buildings erected in a construction boom at the start of the 21st century, near the Eurovea shopping area. As we neared Most Apollo (English: Apollo Bridge), we decided to sit for a while, rest, and then finish our self-paced tour of the city with a long stroll along the Danube. At 6:30 we left the free parking lot and Bratislava behind, heading back to our Hungarian adventure. Bratislava as a day trip did not disappoint! Thanks, it was a packed day, but really fun! 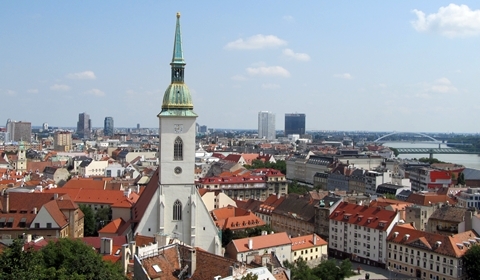 How cool that you got to experience Bratislava while living there. 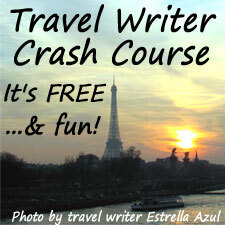 A year and a half sounds like even more fun than just the one day!